Repp Renovations - Designing kitchens and baths that inspire you. It’s our job to make you feel at home, representing everything you love under one roof. 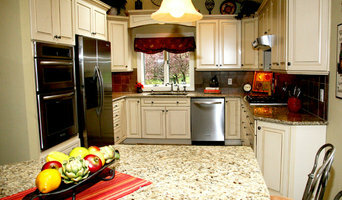 We are a residential remodeling company with 30 years of experience transforming homes around Western New York. Though our focus is on upscale kitchens, bathrooms and additions, our expertise enables us to translate your vision for your home into reality. One of the first things you will realize about Repp Renovations is we really love what we do: helping homeowners like you improve their homes and enhance their lives. As a full-service remodeler, we provide a comprehensive, hands-on approach to home renovating. The entire project, from initial design to completion, is coordinated in-house by our team. Every project is methodically crafted according to your specific needs, wishes and budget. Taking the time to listen to you and work with you throughout planning and construction ensures a satisfying outcome. Our reputation is rooted in our steadfast commitment to ensuring the project is done properly from the inside out. We are dedicated to providing the best solutions to enhance your home and your lifestyle. Adding beauty, function, style and value to your home for years to come is our goal. Simply put, our job is not merely to complete a renovation – it’s to make you feel at home. Straight Line General Contractors, Inc. Since 1994, Derek Acker has worked to build an extraordinary community one home at a time. Derek recognized he could build and remodel fine homes for special people better together, rather than apart. Building on that trust and understanding, he has brought that vision to Straightline General Contractors. Each project we embark on is a new opportunity to apply our focus on quality and award winning expertise for the benefit of our clients. Our success on any project is measured by the satisfaction of those we serve. Our team is dedicated to providing you and your project with the highest quantity craftsmanship and up to the minute communication from the start through finish. The final result of our collective effort is your new home or remodel, built to give you years of enjoyment, value and pride of ownership. Specializing in space planning, unique finishes, and project management, we take pride in delivering Buffalo a much-needed modern take on interior design. We cover a variety of interior design styles, but excel in a west-coast-cool aesthetic. We love fine details in built-ins and cabinets, clean lines, well placed lighting, and especially tile work. We work far and near, on projects of all shapes and sizes. Please visit our website for more information on our services. We provide free consultations and detailed design quotes. We are available via email or phone if you have any questions. Caroline Design is an interior design studio based in Orchard Park NY and designs in Boston MA, Cape Cod, Denver CO, and Buffalo NY. With experience in residential and commercial they offer designs that are thoughtful and unique to each client. Please call for more information. 716-253-1883. Q Interiors is a full service interior design firm. We take a very personalized approach when it comes to our services, working with each client to achieve their goals for their home, office, or business. Colleen's passion for interior design is reflected in the transformative spaces she helps create. 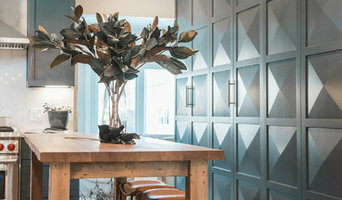 A keen eye and the ability to speak the language of both contractors and clients has earned Q interiors a well deserved reputation. Scale, color, balance and texture are key elements in completing a space. She has assisted clients from California to New York and takes pride in making their visions become a reality. Our specialities include space planning, sourcing all materials needed from exterior selections, and interior finishes and details. Feel free to give us a call. We look forward to learning about you and your upcoming project! We Do Zero for Our Clients! KCB Homes is the leading firm in New York state providing custom designed Net Zero homes. What is Net Zero? In a Net Zero home the total amount of energy used by the building on an annual basis is roughly equal to the amount of renewable energy created on the site by solar or geothermal energy sources. These homes consequently contribute less overall greenhouse gas to the atmosphere than similar non-ZNE houses. A Net Zero home is 60-70% more energy efficient than a traditional home allowing you to allocate your money to your home’s mortgage and not give it to the utility companies. Call us today to schedule your free custom home design consultation. Buffalo's Kitchen & Bath Remodeling Experts | Visit Our Showroom! Since 1997, New York kitchen and bath has developed an unmatched reputation for quality, integrity and professionalism. As a family-owned and operated business with hundreds of satisfied customers, we're proud to consistently meet and frequently exceed our customer's expectations. New York Kitchen & Bath will coordinate every aspect of your bath remodel or kitchen remodel with outstanding customer service, GUARANTEED. Our team of experienced designers works to design your space according to your wants and needs. We encourage you to review our website and visit our showroom to discover how New York Kitchen & Bath can deliver the kitchen or bath remodel of your dreams. CONTACT US ON OUR WEBSITE FOR AN ESTIMATE! We are a full service Professional Remodeling Contractor whose specialties include Carpentry, Roof, Siding, Windows, Design Build, Kitchen & Bath design, Independent Living Renovation, Sunrooms & Patio Enclosures. Since 1993, Kaz Companies has become the trusted brand in Western New York with thousands of happy customers. We are also recognized nationally as a Top 500 Remodeling Company and a Top 200 Specialty Contractor. It is the team members of Kaz that make the difference. Pride is taken in wearing the Kaz logo, pride is taken in helping you and making you a happy customer. Our goal is to make every customer a referring customer, someone that is proud to tell others that we helped them with their project. I think you will find that communication, professionalism, and friendliness is a common theme. Inspired space is an interior design firm based in Buffalo, New York. We specialize in commercial and residential design, space planning, space utilization, and decorating. I have been fortunate to work with many people to make their homes, offices and spaces they interact with every day, more beautiful, functional and inspiring. Artisan Kitchens & Baths grew from Appliance Associates of Buffalo in 2002 because our clients demanded more than just the best appliances, they also wanted quality design services, state-of-the-art products, a choice in cabinetry, and a talented, knowledgeable staff to help them create the home they always dreamed of owning. Our design professionals educate and guide you through the process from conception of design to completion. We will work with you to create a beautiful, functional space based on your desires and your lifestyle. Our affiliation with dozens of manufacturers and artisans allow us to provide you with the most innovative products, regardless of your budget. SEN is a national network of independent Kitchen and Bath professionals that functions as a buying group, adheres to to uncommonly high business standards. And, as members, we dedicate ourselves to furnish you, our client, with the best value in products and services, as well as the information you need to make informed decisions regarding your remodeling project. Mon 9:00am - 5:00pm Tues-Wed-Thurs 9:00am - 8:00pm Fri 9:00am - 5:00pm Saturday 9:00am - 3:00pm Sun by appointment. Lauren offers clients 12 years of Kitchen and Bath Design experience with over 18 years in the home improvement industry. She provides 3D Kitchen, Bath, Closet or custom bookshelf renderings just to name a few, as well as, fixture selections and project coordination. With a B.A in Design, Lauren has a talent for staying on trend and also fitting each client's personal style into their new space. She has the ability to work for residential, as well as, commercial clients alike, as she works with several different builders. 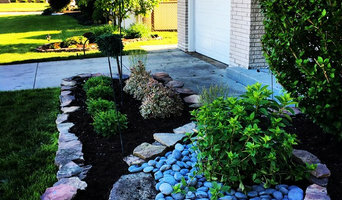 Lauren's husband also owns a remodeling company, The RoseBelle Remodeling Company, and often collaborates with him on remodeling jobs, there is no job too big or too small for her to take on. 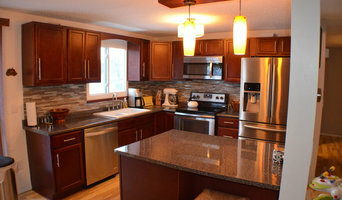 Visit RoseBelle's page to see her best kitchen design collaborative works. Complete Interior Design Services. "A home should reflect the charm, personalities, and lifestyles of all those who live in it, and in order to create that harmony between great design and individuality, I will begin with a conversation, listening to your ideas, then developing a presentation, implementing design, balance, and vision to create a beautiful, unique home!" Offering creative design solutions for every interior, whether it be space planning for a new home or reinventing existing spaces through beautiful Ethan Allen furniture, custom draperies, Hunter Douglas blinds, bedding or accessories, my passion is making your home beautifully reflect your personal style. 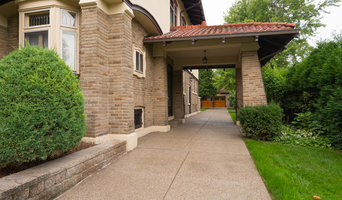 Buffalo's premier home improvement, general contractor, and remodeling experts, Cortese Construction Services has been family owned and operated and satisfying Buffalo and Western New York’s needs for home remodeling, general contracting, and construction since 1951. From our expert design and blueprint services down to basic handyman services, Cortese Construction Services can fulfill all your home improvement and general contracting requirements. Our expert contractors are skilled in the areas of kitchen and bathroom design, which means that we can give you the kitchen or bathroom that you’ve always dreamed of. If it’s an addition to your home that you’re craving, we can help you there too. For years we have been producing beautiful sunroom additions as well as other home additions, such as in-law apartments, which can only add value and beauty to your home. Or maybe all you need are some simple handyman services. We are more than willing to handle that too! We believe that our track record of excellent customer service sets us apart from other general contractors, and we would love the opportunity to prove it to you. For any home remodeling or home additions, trust the general contractor that has you and your needs in mind. Trust Cortese Construction Services. Reach out to multiple professionals — especially for larger projects — and don't settle for the first bid you hear. Comparing multiple South Wales, NY professionals' bids and experiences can help you find the one that’s best for you. Ask a lot of questions now, so you won't have unexpected answers later. Find a home design professional on Houzz. Narrow down your search by type of professional and location. Browse South Wales, NY portfolio photos, read client reviews and contact each South Wales, NY professional for more information. Check out the information in the specialized professional sections too for tips on how to hire the right professional for your project.